Each pair of hands is unique, from finger length to breadth of a palm to movement, yet most gloves are one size fits all. Students in the Master of Science in Sports Product Design program recognize that this universal approach to glove design isn’t cutting it, especially when gloves are used in more technical endeavors like the military or auto-racing. “Everyone’s body types are different, so being able to create a product that addresses everyone’s needs is really important,” said graduate student Natasha Anand. 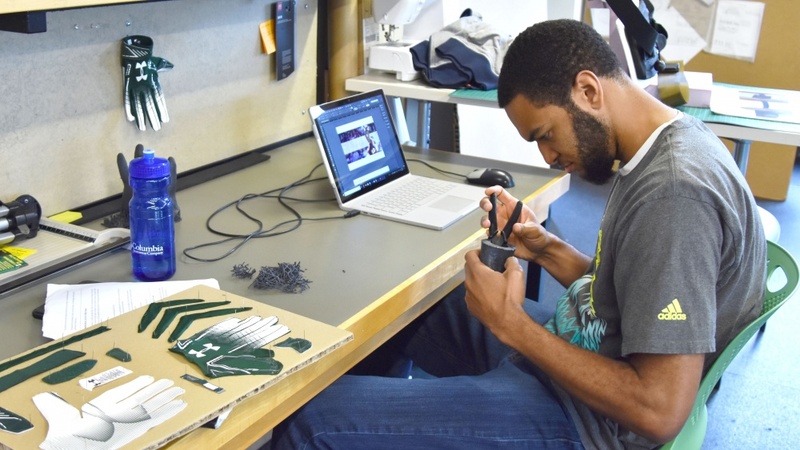 “The sports product design program prepares students to be the next generation of innovators through a scientific approach,” said Susan Sokolowski, director of the graduate program and an associate professor of product design. “Research, ideation, iteration, materials, prototyping, development and production are holistically considered to solve problems for athletes.